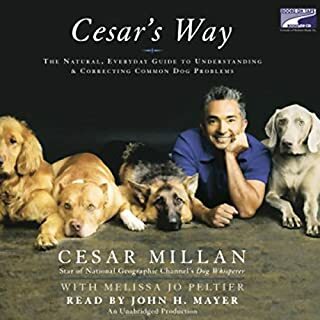 Filled with practical tips and techniques, as well as real-life success stories from his fans, clients, and his popular television show Dog Whisperer with Cesar Millan, Cesar helps you understand and read your dog's energy as well as your own, so that you can move beyond just correcting behavioral issues and take your connection with your dog to the next level. The principles of calm-assertive energy will help you become a better pack leader in every area of your life, improving your relationships with friends, family, and coworkers. 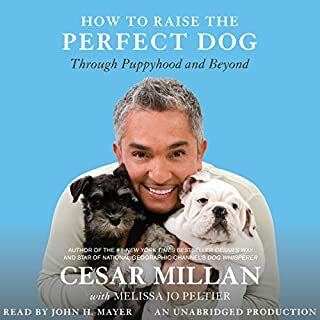 In addition, Cesar addresses several important issues for the first time, including what you need to know about the major dog behavior tools available and the difference between "personality" and "instability". ©2007 Cesar Milan and Melissa Jo Peltier (P)2007 Random House Inc. Random House Audio, a division of Random House Inc. If you have a Pack as we do, 4 border collies and 1 sheltie and things start to go haywire, it's true, look at your own life and the stresses you bring. We had a major incident in which one dog who is normally not aggressive got into with another and I thought my sheltie would lose his ear. They were reflecting my inner chaos and unhappiness from work and not keeping any pack order. Calm assertive has dealt with so much of the situation, exercise so much more. All my dogs walk well on or off leashes,but now they are so much more clear on who is the leader of the pack. The one dog we knew had problems (I hate the word issues) with strangers is so much better, especially since we've told people, don't look, don't talk, just basically ignore her. She comes around like the young dog she really is, rather than the tough thing she wants you to see. Did I mention they are rescues and each had to be rehabilitated. 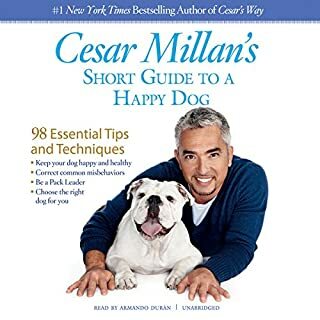 There have been so many times when I wish Cesar could appear and help, especially when I know he'll be in my area the first of the year, but this book is a close second. My physician uses it with his kids and I will pass it on to teachers at my school! I enjoyed this book however I did not like that I heard the F word in the beginning. That would be the reason for the story rating. 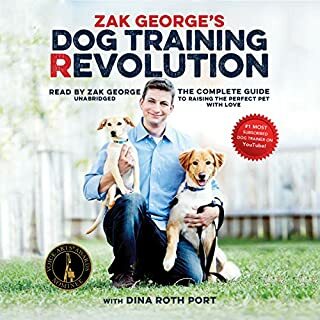 I’m hoping by listening to dog training books that I could teach my own dogs. I think Cesar is a great teacher for anyone with dogs. Love that it was read by Cesar! Loved that it was read by Cesar, it meant so much being able to hear it from him. Be the Pack Leader is just what you need! 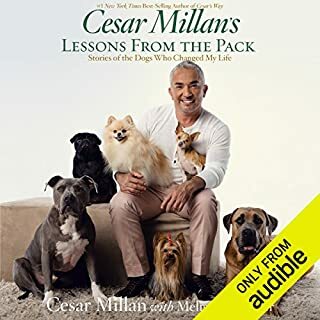 I love that it is narrated by Cesar. Very good book for raising BALANCED dogs or kids!!! I'm not of the only "positive training" mind set with dogs or children. I say "YES" a bunch of enthusiastic times but occasionally I need to say "NO" and I want my dogs and grandchildren to know that "NO" means "NO". It may be a matter of life or death as they are running into a busy street or some other danger. This is worth the time to read. Listen & watch The dog whisperer. excelent book, fantastic stories. if you didnt watch Cesars show, you need to do it after listening to this book. What would have made Be the Pack Leader better? This book explained what you should do, but not how to do it. 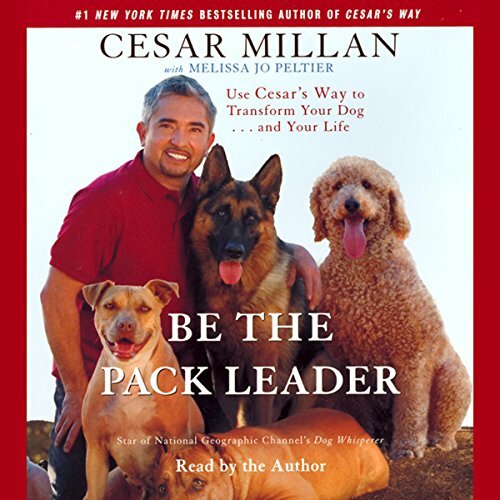 Cesar's suggestions are easier said than done, and without knowing how to effectively become a pack leader, or even some of the steps to take to start, this book is just a lot of words and repetitive thoughts. this book was very informative and helpful. I was able to implement some of the tips immediately. Really no tips or advice in this book. Just Cesar Millan retelling increasingly similar success stories. 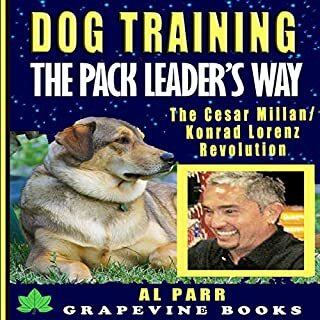 If you really like Cesar, perhaps you may enjoy listening, but if you are looking for insight into dog psychology and how to be a better "pack leader"-- look elsewhere.